'Tis the season for pumpkin. And we all know how much I LOVE pumpkin. I've been using it in my recipes for a few weeks now. Pumpkin pancakes, pumpkin spice lattes, pumpkin bars. You name it, I'm pumpkinizing it. Sorry, I know that's not a real word. But it did sound kind of cool. 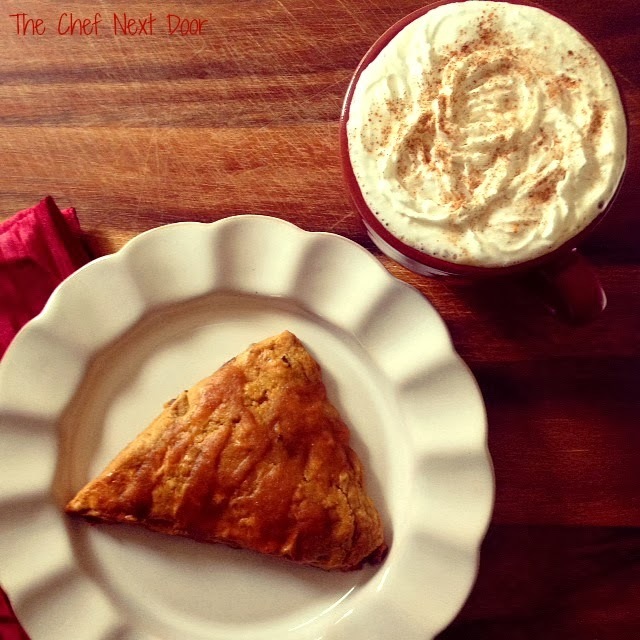 These pumpkin pecan scones are easy to make and are topped with a delicious pumpkiny glaze. 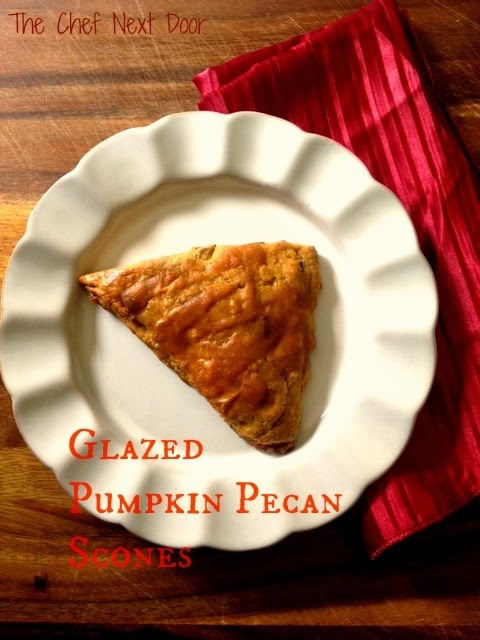 They are perfect for breakfast with a cup of coffee, or even better, with a pumpkin spice latte. They also make a great dessert. This recipe kicks of Oven Month for my Blogger Recipe Challenge group. 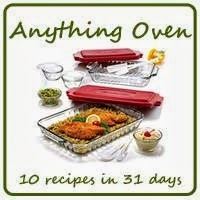 Look for more delicious oven recipes to come! Preheat the oven to 400 degrees and be sure a rack is in the center of the oven. Line a baking sheet with parchment paper or a Silpat and set aside. In a large bowl whisk together the flour, sugar, pumpkin pie spice, baking powder, baking soda and salt. Cut the butter into small cubes and blend it into the flour mixture with a pastry blender. The mixture should look like coarse crumbs. Stir in the pecans. In a separate bowl mix together the buttermilk, pumpkin puree and vanilla. Add the buttermilk mixture to the flour mixture and mix until the dough comes together. Do not over mix. Transfer the dough to a lightly floured surface and knead it gently four or five times. Pat the dough into an 8-inch circle. Using a sharp knife, cut the circle into 8 wedges, like you would a pie. Place the scones on the baking sheet. Bake the scones for about 20 minutes or until golden brown and a cake tester inserted into the center of a scone comes out clean. Transfer the scones to a wire rack to cool. While the scones are cooling making the glaze. Combine the powdered sugar, milk and pumpkin pie spice in a small bowl and whisk until well combine and smooth. Once the scones are cool, drizzle a spoonful over each scone and allow the icing to set before serving.